We are leading service provider of Swimming Pool Designing Service. 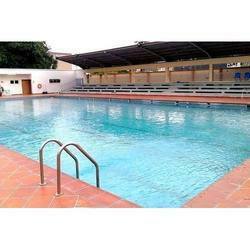 We are offering a wide range of Swimming Pool Designing Service. The offered services are procured by us from reputed manufacturers, who utilize optimum quality materials and cutting-edge technology in their manufacture. Also, our customers can profit this range from us at business leading costs.